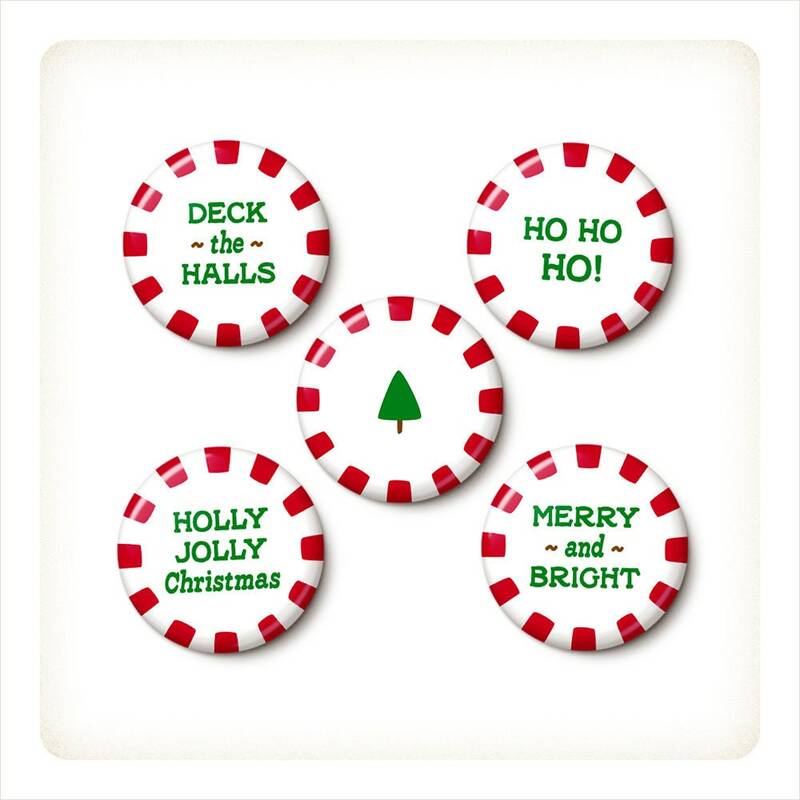 Christmas Candy pinback button or magnet, your choice. 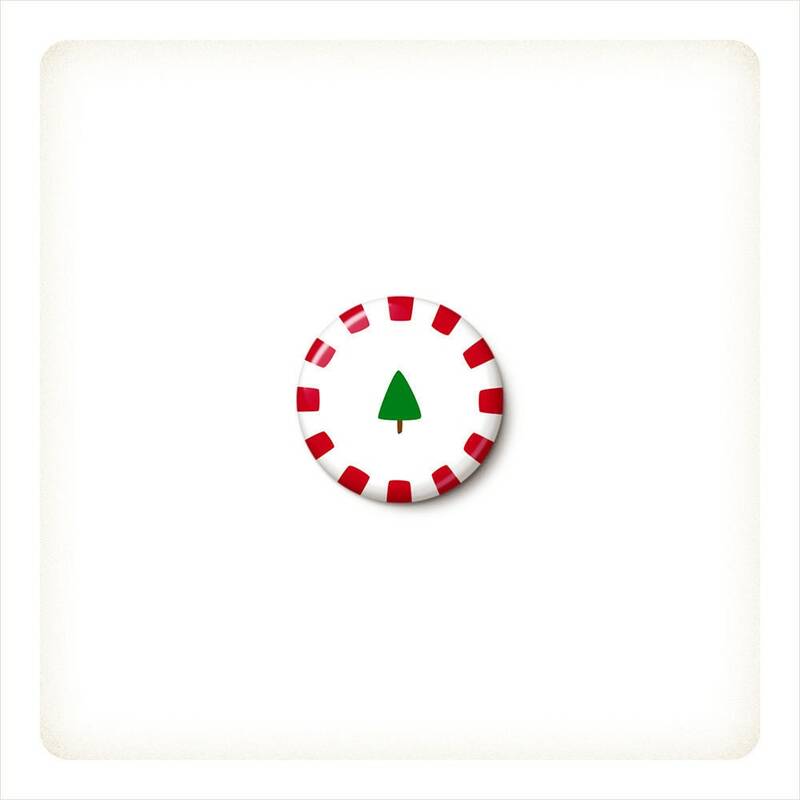 A cute little peppermint Christmas "candy" available in 5 designs: Deck The Halls, Ho Ho Ho, Holly Jolly Christmas, Merry And Bright, or classic Christmas Tree. Multipacks are assorted (if you'd prefer all one design or a custom mix of the available designs, just include a "note to seller" at checkout). Note: Just to be clear, this is not actually candy. 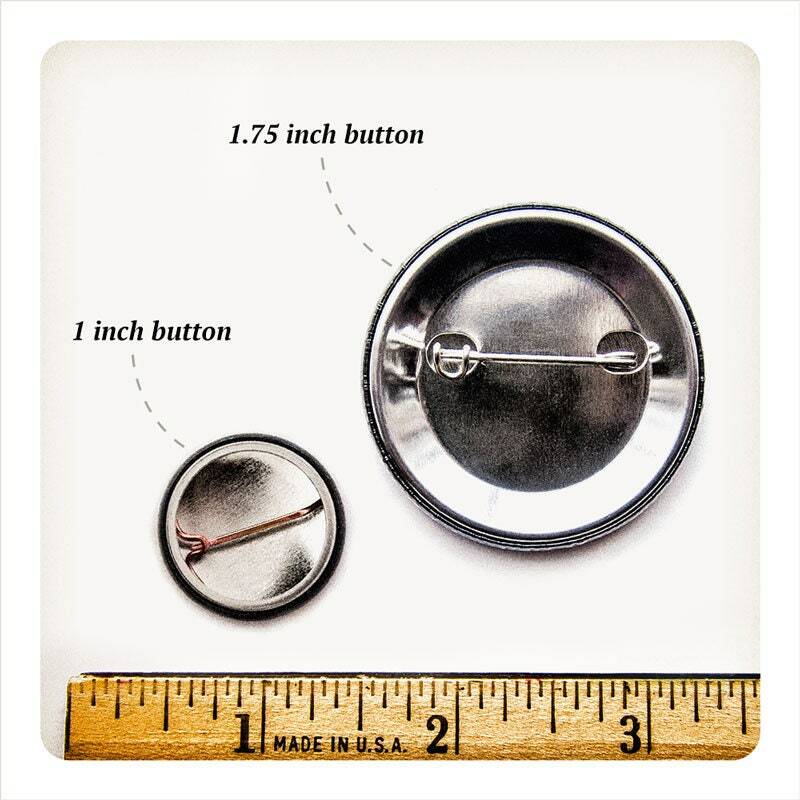 This is a non-edible pin/magnet made of metal, paper and mylar. Don't eat it! 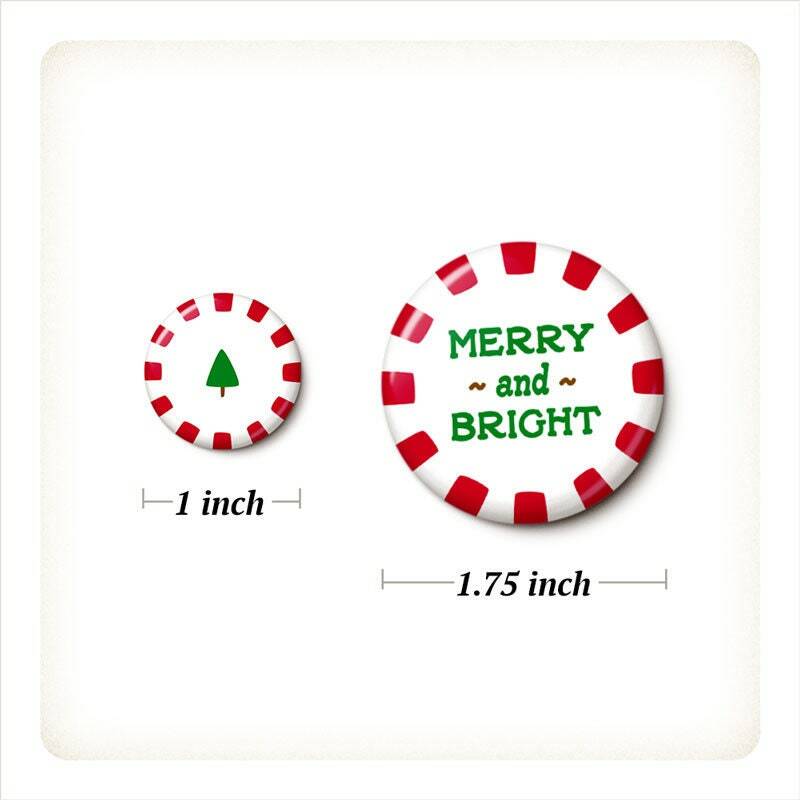 These are so cute, and shipping was super-fast! 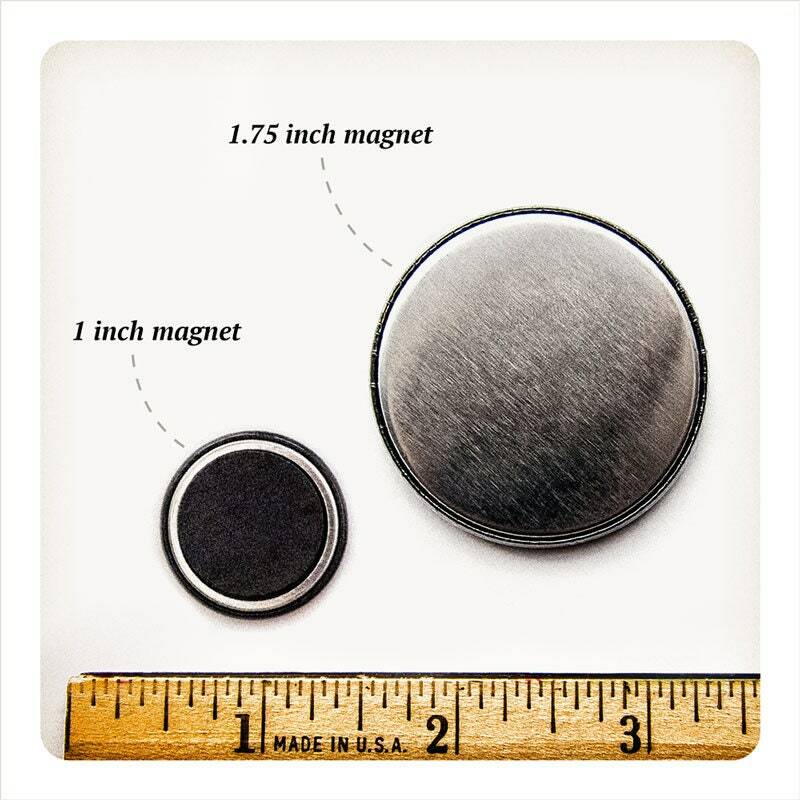 The magnets are very strong, too. I love them and will definitely buy again!